Everyone on one of the committees would grade the pastor from 1 to 7 before the meeting. Six or seven is wonderful. Four or five is good. Obviously 1 to 3 is poor and cause for action and improvement. We should meet ahead of time to compare grades and come up with one main grade given with the unity of the committee. That way they’re not arguing about their feelings or grades in the actual meeting with the pastor. 1. Senior either does all three or envisions and implements. 2. Main board co-owns vision, gives boundaries, approves policies, supports with prayer and personal embrace. 3. An Executive Pastor or small team leads and manages strategy. 4. Other staff lead in their specialty areas but manage in accord with senior and board leading. If not using same playbook, they must leave the team. Administrative areas—major on “leading” circle, but more management and administration to be sure. 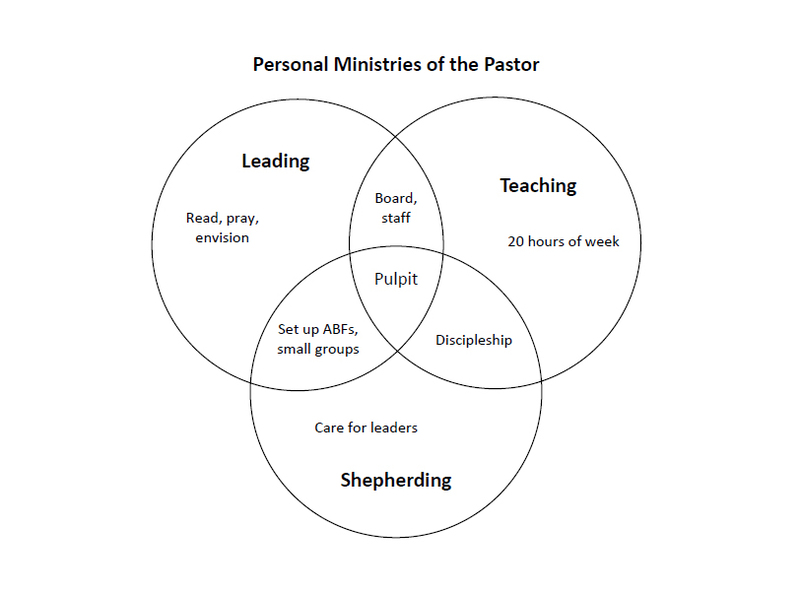 Age-specific ministries—major on shepherding and teaching in sub-groups. 6. Support staff cares for details and administration with some DNA of leaders. Pray for and pay attention to people in this age group. Be the conscience for the leadership team to reach and serve this area. Assess and sponsor what the church offers to evangelize, disciple, and care for these people. We’re talking about resources for pastors, advice from staff members, use of facilities at times, encouragement in practical issues, seminars for the pastoral leaders. 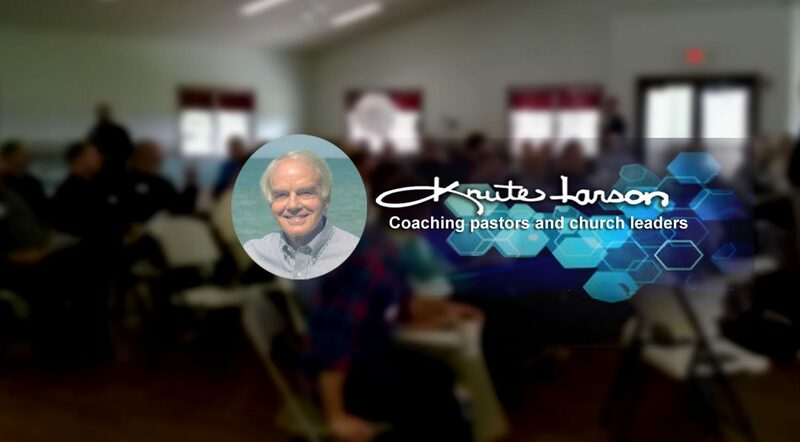 Because of the Golden Rule – if you were in that small church a few miles away, you would love it if someone offered a resources or a speaker you would never get to hear, or significant help for a specific ministry like children or finances – strategies for budget. The mandate to love and help others – it’s all through the Bible, and it doesn’t specifically say that big churches should help smaller churches this way but it isn’t hard to go that way with the application. Most churches get inadequate support from their denominations or fellowship of churches. Administrators are so busy with all kinds of other organizational details, that there are only a few times they can sit down with a pastor to help with strategy or particulars. National information is there, in quantity galore, but a local church can be a friend in flesh and blood, with love and reasoning, and even good advice and application. There is only one kingdom, and we’re on that team. And the strong should help the weak. And we just simply have to admit we are strong and rich in many ways. Every large church has so many resources and experts on staff and abilities to bring in good speakers and teachers. To give senior pastoral leadership to the church in line with Biblical commands of our Lord to pastors and to serve as the senior leader of pastoral staff and church ministries. REPORTS: Annual written report to the church; other reports as desired for updates. Communication of vacation and special days to the board of trustees for records. 9. Work your best spiritual and emotional study schedule. 8. Be in an accountability group. 6. Promote your passion . 4. Know the order … God/ family / company / self-interest . 1. Walk humbly with God .